Offering you a complete choice of products which include crack repair turbocharger, crank regrinding, crankshaft grinding machine, turbine casing repair, crank shaft marine engine and skoda crank shaft repair. 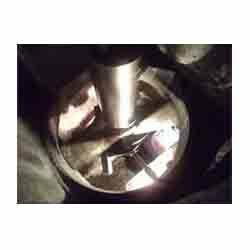 The damaged turbo charger casing or the turbo charger casing which gets broken in to pieces in an accident can be repaired by metal stitching and metal locking process. Crank regrinding is done for damaged crankshaft having crankpin and main journal diameter up to 700 mm diameter. 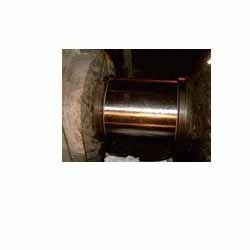 Tolerances after crankshaft grinding and crankshaft polishing are maintained as per the manufacturer’s recommendations. 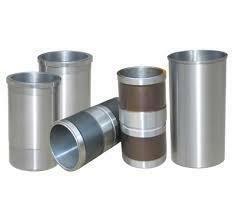 Our Company has gained a good market reputation in providing turbine casing repair which is considered to be critical. 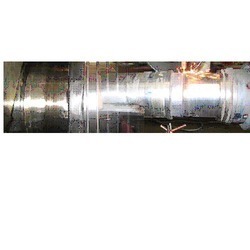 We undertake crack detection test of turbine casing and execute repairs by metal locking and metal stitching process. 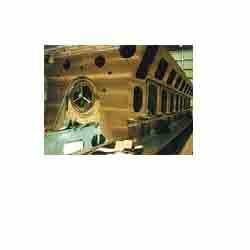 Crankshaft of marine engines is available in stock. 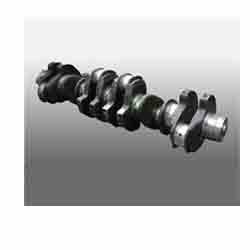 The used and second hand crankshaft are reconditioned and all the dimensions are maintained as original. 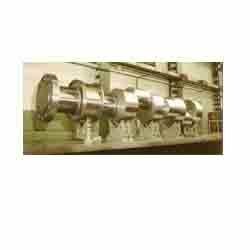 The performance of marine engine crankshafts supplied by RA Power Solutions is guaranteed. 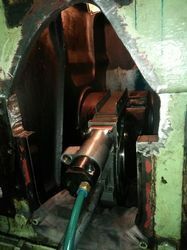 We have in-house facilities for repair of crankshaft. CKD Skoda crank shaft repair is undertaken onsite. 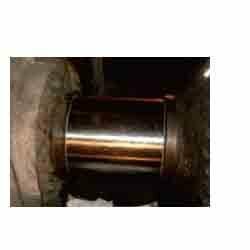 Crankpin and main journal grinding and polishing is undertaken as per the tolerance. Large number of second hand and reconditioned crankshaft are available for ABB, ABC, Anglo Belgian Corporation, Akasaka, Alco Diesel Engines, Alfa Laval, Allen, Alpha Diesel, Alstom, B & W, Bergen Diesel Engines, Blackstone, Bosch, Caterpillar, Cegielski, Consilium, Crepelle, Cummins, Daihatsu, Detroit Diesel, Deutz, Deutz Marine Engine, EMD, Fiat, FUJI, Fuji Diesel, Furuno, Hanshin, Headway, HIMSEN, Holset, Hyundai, JRC, Kawasaki, Kelvin Hughes, Kongsberg Maritime, L'Orange Maschinenfabrik, MaK, MAN, MAN B&W, Martek Marine, Mirrlees Blackstone, Mitsubishi, Mitsubishi UE/UEC, MTU, MWM, Napier, NAVTEX, Nigata, Nohab Diesel, Paxman, Pielstick, Ruston & Hornsby, Samsung, Simrad, SKL, Sperry, Stork SW Diesel, Stork Werkspoor, STORK-WARTSILA DIESEL, Sulzer, Volvo Penta, Wartsila, Wartsila Diesel, Westfalia, Wichmann, Woodward, Yanmar. 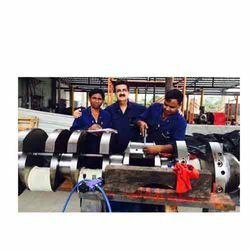 Each reconditioned crankshaft is supported with calibration report as crankshaft repair is done in-house by our experienced engineers. 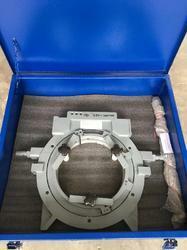 RA Power Solutions specializes in Wartsila connecting rods of all models including Wartsila 12V32 and Wartsila 18V32. 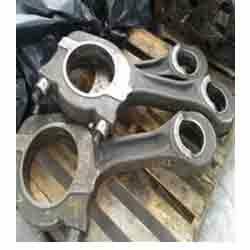 Connecting rods are supplied with inspection reports and are priced 1/3rd of the original cost. Marine engines and marine engine spare for following engine ABB, ABC, Anglo Belgian Corporation, Akasaka, Alco Diesel Engines, Alfa Laval, Allen, Alpha Diesel, Alstom, B & W, Bergen Diesel Engines, Blackstone, Bosch, Caterpillar, Cegielski, Consilium, Crepelle, Cummins, Daihatsu, Detroit Diesel, Deutz, Deutz Marine Engine, EMD, Fiat, FUJI, Fuji Diesel, Furuno, Hanshin, Headway, HIMSEN, Holset, Hyundai, JRC, Kawasaki, Kelvin Hughes, Kongsberg Maritime, L'Orange Maschinenfabrik, MaK, MAN, MAN B&W, Martek Marine, Mirrlees Blackstone, Mitsubishi, Mitsubishi UE/UEC, MTU, MWM, Napier, NAVTEX, Nigata, Nohab Diesel, Paxman, Pielstick, Ruston & Hornsby, Samsung, Simrad, SKL, Sperry, Stork SW Diesel, Stork Werkspoor, STORK-WARTSILA DIESEL, Sulzer, Volvo Penta, Wartsila, Wartsila Diesel, Westfalia, Wichmann, Woodward, Yanmar are available in stock. Line boring of engine block or gearboxes up to 600 mm is undertaken by experienced engineers of RA Power Solutions. 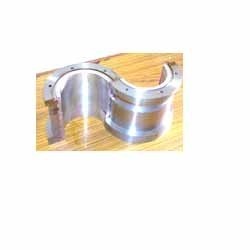 We have in stock Cummins spare parts like connecting rod, crankshaft, and bearings of all the specifications. Certification of Cummins spare parts is also available. Manufacturing of engine bearing is undertaken in house to assure quality and long life. 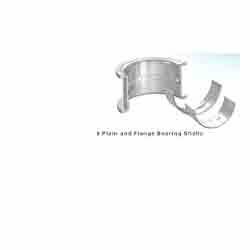 Engine bearings are available in different dimensions at highly competitive prices. We can supply tri metal, bimetal and white metal bearings for all models of engines. We also undertake rebabbitting of white metal bearings and manufacture white metal bearings as per the sample or drawings provided by the clients. We provide full services for the mirrless blackstone engine and spare parts. 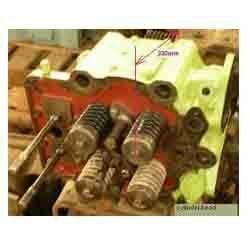 We have a second hand mirrless blackstone engine as available in stock on heavy discounted price. 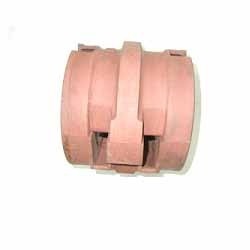 We also supply spare parts like cylinder liners, connecting rods, cylinder heads, crankshaft and complete range of spare parts. 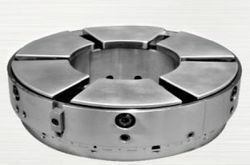 Onsite grinding of crankshaft, rotor shaft, turbine shaft, alternator shaft, and pump shaft is undertaken up to 700 mm diameter with portable grinding and polishing machine. 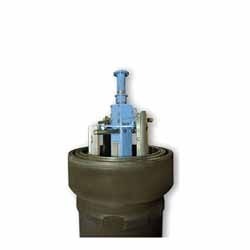 Tolerances are maintained as per the manufacturer’s specifications. We supply portable crankshaft grinding machine which is easy to carry to site. We also provide training to the technicians to execute crankshaft grinding and crankshaft polishing. 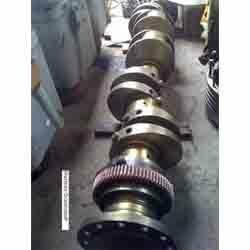 We supply portable crankshaft grinding machine which is easy to carry to site. We also provide training to the technicians to execute crankshaft grinding and crankshaft polishing. The crankshaft grinding machine is simple to operate and is competitively priced. We have supplied more than fifty portable crankshaft grinding machine all over the world capacity ranging from 50mm to 700mm in terms of diameter. Remanufactured cylinder heads of ABB, ABC, Anglo Belgian Corporation, Akasaka, Alco Diesel Engines, Alfa Laval, Allen, Alpha Diesel, Alstom, B & W, Bergen Diesel Engines, Blackstone, Bosch, Caterpillar, Cegielski, Consilium, Crepelle, Cummins, Daihatsu, Detroit Diesel, Deutz, Deutz Marine Engine, EMD, Fiat, FUJI, Fuji Diesel, Furuno, Hanshin, Headway, HIMSEN, Holset, Hyundai, JRC, Kawasaki, Kelvin Hughes, Kongsberg Maritime, L'Orange Maschinenfabrik, MaK, MAN, MAN B&W, Martek Marine, Mirrlees Blackstone, Mitsubishi, Mitsubishi UE/UEC, MTU, MWM, Napier, NAVTEX, Nigata, Nohab Diesel, Paxman, Pielstick, Ruston & Hornsby, Samsung, Simrad, SKL, Sperry, Stork SW Diesel, Stork Werkspoor, STORK-WARTSILA DIESEL, Sulzer, Volvo Penta, Wartsila, Wartsila Diesel, Westfalia, Wichmann, Woodward, Yanmar are cost low and are available in stock. 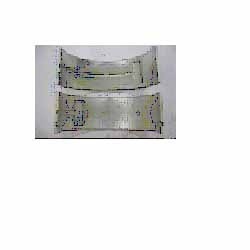 On site metal stitching is a specific mechanical technique of making permanent repairs to wrecked casting and machine parts. 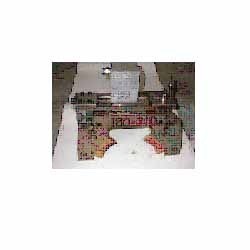 The onsite repairs of crack casting saves down time and cost for the user. 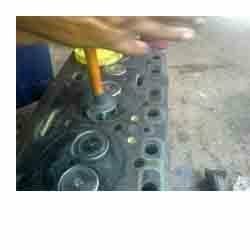 We undertake metal stitching and metal locking of crack engine blocks, cylinder heads, damaged castings, etc. We have successfully executed repair of crack castings and number exceeds two thousand jobs. We deal in spare parts for all models of Skoda from last 35 years with warranty. 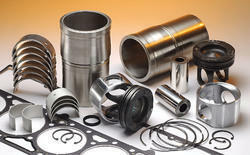 We have ready in stock of Skoda spare parts that includes Skoda bearing, cylinder liners, Pistons and connecting rod. We can also supply CKD Skoda secondhand diesel generating sets having capacity of 860, 1450 and 2270 Kva. Skoda spare parts duly reconditioned tested are supply with performance guarantee. RA Power Solutions manufactures new turbine bearings of white metal Babbitt material as per the sample or drawing. White metal babbitt turbine bearings are manufactured up to 1500 mm bore size. Rebabbitting of old turbine bearings is also undertaken. We offer high quality of new and old Wartsila diesel engine and Wartsila diesel generating sets. Wartsila diesel generating sets offered by us are from the industries which have switched over to turbines. In case of few models of Wartsila 12V32 and Wartsila 18V32 load trial can be given. The complete power plant includes the auxiliary equipments like compressor, fresh water generator, heat exchangers, lubricating oil filters, etc. and these sets are ready for installation.